With Summer hitting us, we get to the peak of the season. So many great books came out this week! 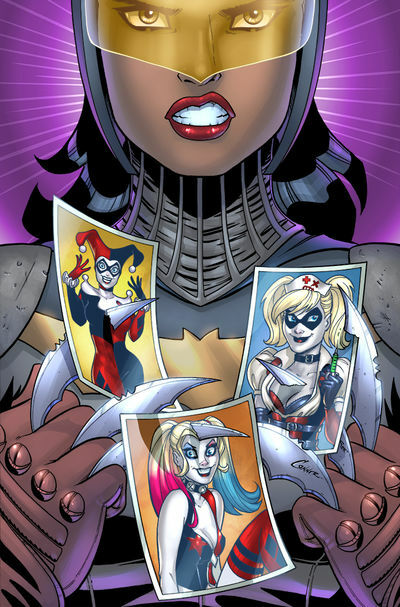 As always these are just a few of this week’s new releases that got our comic senses tingling. Check out our other blog articles so see our thoughts on other books. Be sure to comment or share our post on Facebook or Twitter if you like our articles! Seattle has a problem. Underground Men are capturing the homeless and selling them off to unseen bidders in some dark auction underneath the city. In Green Arrow Rebirth #1 Oliver met Black Canary again to team up and stop these Underground Men. 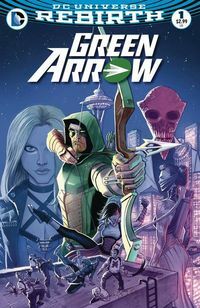 This issue starts it off well, continuing the attempt to end the trafficking, and returns Oliver Queen to us while outlining just what kind of hero he is, both in and out of the hooded green leather. As much as I loved X-crossovers like Inferno and Fall of the Mutants back in the day, more recent capital-E Events (Secret Wars aside) have left me cold – tangential tie-ins doubly so. 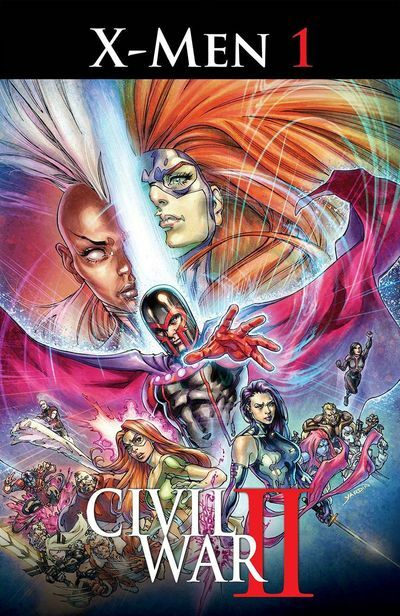 So – the fact that Civil War II: X-Men #1 not only holds up as an unforced and relevant facet of the Avengers’ more central conflict, but feels like the legitimate next chapter in the plot of both Storm’s and Magneto’s teams of X-Men? That was a surprise, and a pleasant one. Cullen Bunn earned quite a bit of goodwill among X-fans with his recently-ended run on Magneto’s solo series, and his ability to bring nuance to potentially over-the-top characters helps him juggle a large cast without any characters getting too lost in the background. In particular, Nightcrawler and Psylocke’s reunion is wistfully heartwarming, and Sabretooth and Old Man Logan’s meeting realistically brings out the worst in them, temporarily erasing the progress each has made in recent months in a way that feels earned. Andrea Broccardo’s art is a good hybrid of the styles of the books each team of X-Men comes from: more realistic than Humberto Ramos’s and more expressive than Greg Land’s. While the occasional face looks a bit off, he successfully contrasts the colorful heroism of Storm’s team with the bleak intimidation of Magneto’s. 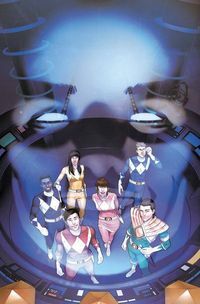 Jesus Aburtov’s colors assist nicely, making each team’s palette distinct without either seeming out of place. 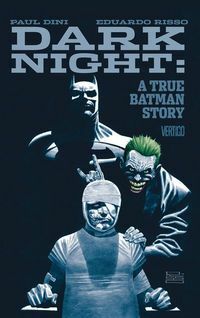 A uniquely personal story, Paul Dini’s Dark Knight: A True Batman Story will captivate you, stir up fear and anger, and ultimately give you a new perspective on how fictional superheroes can have real-life effects on people’s lives. In this autobiographical story, Dini takes us into the deep into the darkness and details the events of a horrific physical attack and his subsequent healing process. 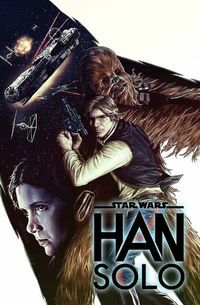 Star Wars: Han Solo #1 brings readers into the eyes of our favorite smuggler who has now taken on a new challenge. Briefly following the events of the Battle of Yavin, Han finds himself once again helping out the Rebellion. This time as an undercover agent in the oldest and most dangerous race in the galaxy – The Dragon Void. When I saw the words “Cthulhu Crime” on the one-sheet ad, I was hooked. 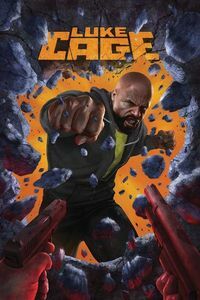 I’m a sucker for supernatural crime comics, so this was a must read for me. I’m here to say Fred Van Lente and team not disappoint! 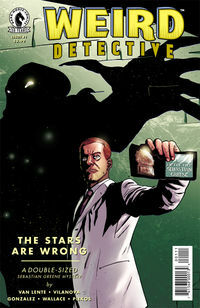 Detective Sebastian Greene is someone who does their job just under the radar, until 2 months ago. Now, completely out of nowhere he is solving big cases with little evidence. Something is different, and him being “Canadian” has nothing to do with it!